Well I’ve done it, the transition from maternity leave – back to work. As many of you parents know already this transition can be difficult to say the least. From finding the perfect care for your child to ensuring that you are providing them everything they need all while punching the clock from 9-5. Going back to work can be stressful and even agonizing, I’m here to tell you as a parent you are going to feel every emotion and even some made up ones, every situation is different, but you can do it! I began dreading my return to work date of September 6, oh well let see…. January 1st !… seriously I had basically ruined my entire mat leave by working myself into such a tizzy about leaving my daughter. I seriously considered quitting my job for at least 6 months, REALLY! 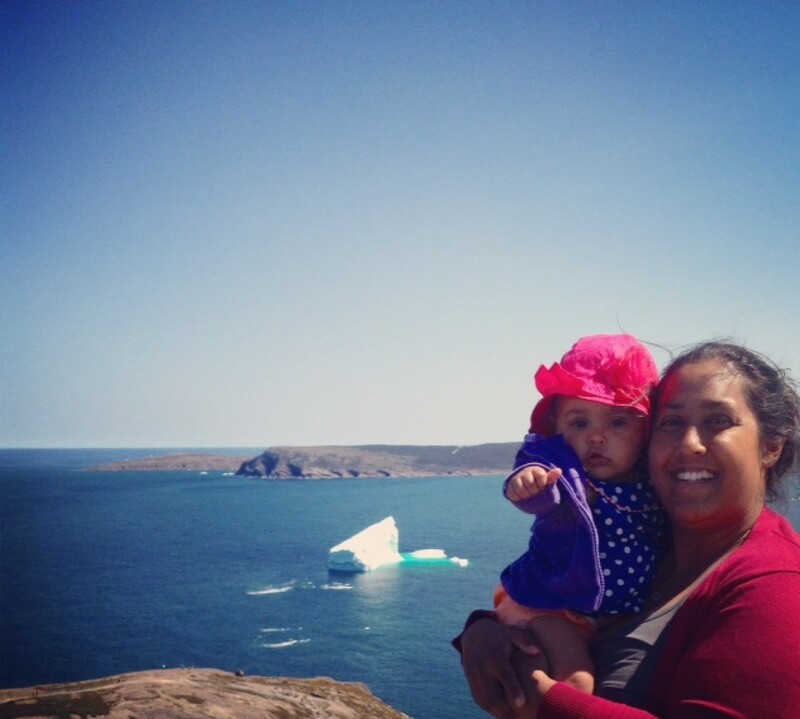 I cried almost every day, thinking I was abandoning my daughter. I had myself convinced that no one, I mean no one could give her the care and nurturing she needed. And that is true, and my point to all you new parents. No one will ever replace Mom or Dad, NO ONE not even your child’s new care giver and your little babies know that. I wanted to share my experience with you because all everyone kept on telling me was that I would be fine, my daughter would be fine, just give yourself time. And saying that to someone that has never gone through this before well simply put; meant nothing. The thing is it’s hard for some parents, and easier for others. Just like your child you will have your good days and your bad. Your house sometimes won’t be cleaned, and sometimes you will forget your child’s milk and sometimes, yes sometimes you will go to work with two different shoes on (my co-workers assure me it’s very common). For me I imagined myself going back to work, weeping quietly in my cubical looking at pictures and videos of my daughter and ultimately getting fired…. In reality when I went back to work and it was hard, I did cry in my cubical and I did look at photos of my baby. I also started finding myself far more focused on my work, more efficient and more creative. My daughter cried every morning for the first month I dropped her off at daycare, it was heart wrenching. But when I picked her up she would literally run into my arms. 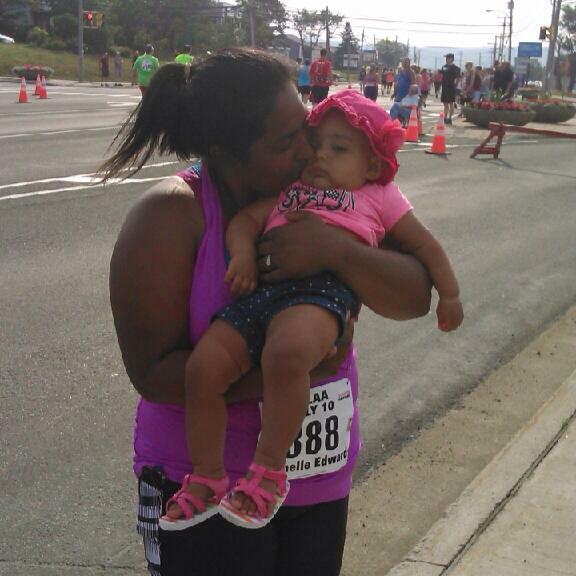 YES I said RUN, in the first month at day care my daughter was walking and talking! I could see so much more confidence in her and how much fun she was having, something I simply could not provide to her if I was to stay home. Our routine has changed for the better; we talk the entire way home, we read and play all evening. I cook her supper, give her a bath and soothe her to sleep. My days are full and challenging in a good way. I think for me I got caught up in “sweating the small stuff”. I want to be a great parent to my daughter and I just imagined that the only way I could achieve that was by staying home with her and making sure she had every minute, every meal and every activity of every day planned out by MOM… but the reality is you have to do what is right for your family may it be going back to work or not. Our family seems to be coping fine, well I still weep in my cubical from time to time (my co-workers assure me that’s common also). My best advice would be taking it day by day, minute by minute if you have to. Leave a few annual leave days if you can just to stay home with your child if you want to, if you need help ask for it. All in all my transition back to work has been great! Please feel free to comment with your going back to work success stores and tips and trick for keeping sane! And don’t forget Christmas is around the corner contact www.gobabyrentals.ca for all the baby equipment you need while family is visiting! 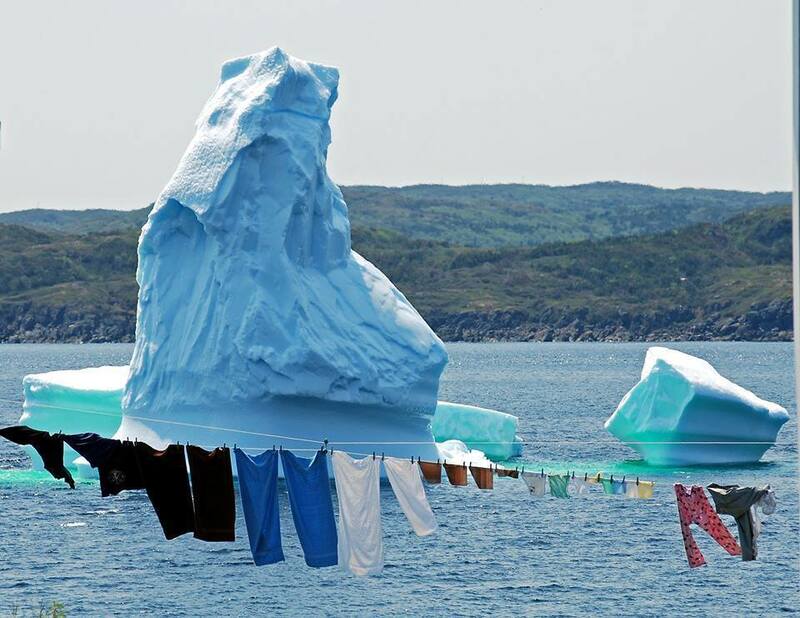 Whether or not you believe in global warming, you’ve got to admit it’s been an exceptionally hot in Newfoundland this summer (not that I’m complaining). Excessive heat can be very dangerous, even deadly. Indeed, heat is by far the number one cause of weather-related deaths in Canada, infants and children up to four years of age (as well as people over 65 and the chronically ill) are at the greatest risk for heat-related illness. Babies’ temperature-regulating systems aren’t fully developed; they have fewer sweat glands than adults, so they sweat less. As a result, they’re not as efficient as adults in keeping cool and are very susceptible to hyperthermia — an abnormally high body temperature — which can be life-threatening. Mottled, grayish, skin that’s cool to the touch. If you think your baby is dehydrated, The American Academy of Pediatrics recommends that you try to get him or her to drink an electrolyte replacement solution (such as Pedialyte) or water, and call your doctor immediately. Because dehydration causes babies’ core temperature to rise rapidly, it puts them at increased risk for heat exhaustion and heat stroke. The best way to keep babies safe in the summer heat is to prevent them from becoming overheated and dehydrated in the first place. 1. Make sure your baby drinks extra fluids, especially water, in warm weather. Breastfed babies also need additional liquids either from the breast or bottle, whatever the mother prefers. And if you’re nursing, you should increase your fluid intake as well so you don’t become dehydrated. 2. Keep your baby indoors in an air-conditioned room during heat waves. According to the CDC, the number one protection against heat-related illness and death is air conditioning. If your home isn’t air conditioned, find some place that is, such as a shopping mall, public library or a heat-relief shelter. Fans can help a bit, but when the temperature soars into the 90s, fans cannot prevent heat exhaustion and stroke. 3. 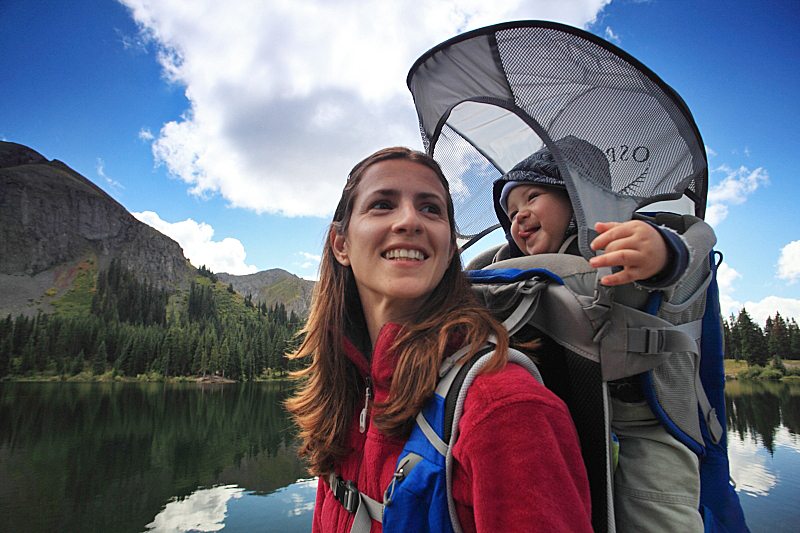 If your baby must go outdoors, dress him or her in light-weight, light-colored clothes. A hat, sunglasses and sunscreen (if the baby is over 6 months of age) are a must. They also help protect a baby from dangerous sun rays. Babies are very susceptible to sunburn and when children become sunburned, their sweat glands don’t function as well. And sunburns in babies put them at increased risk for skin cancer, even in childhood. 4. Never leave a baby or child unattended in a parked car, even for one minute. 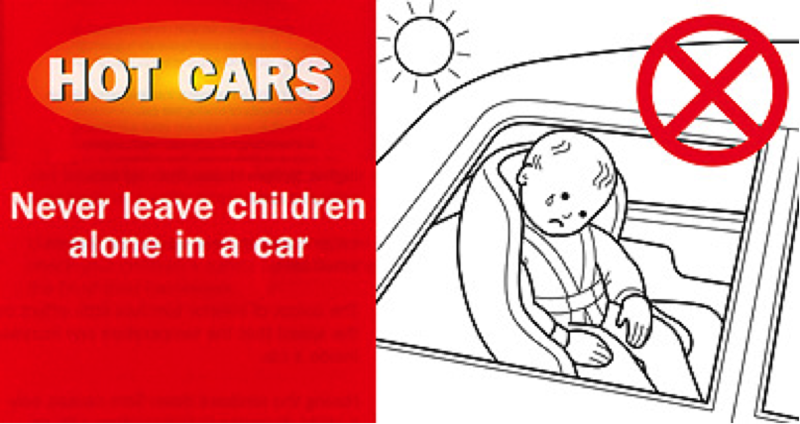 Most babies and young children who die from hyperthermia had been left alone in cars. Even with the windows cracked open, cars can rapidly heat up to dangerous levels in 10 minutes, even in moderate temperatures. Metal seat buckles can also become dangerously hot in a parked car and burn a baby’s sensitive skin. Most of these heat-related safety tips can also be applied to older children, the elderly, people with serious medical problems and even pets, all of whom are highly susceptible to the ill effects of high temperatures. And they’re often dependent on others to make sensible decisions to protect them. Summertime should be a happy time. It’s up to you to keep your baby cool, well hydrated and safe from the heat and scorching sun. With this business I frequent the airport in St. John’s often and it never ceases to amaze me how enjoyable it is to watch families and friends reunite. I think the airport is arguably the one place where the most hugs occur! Seriously if you are ever feeling down on the human race, go to the airport for an hour and your doubt in humanity will soon be restored. From hugs and kisses to gentlemen helping with bags and holding doors, it is refreshing to see! Unfortunately though there is also a downside to travelling sometimes. 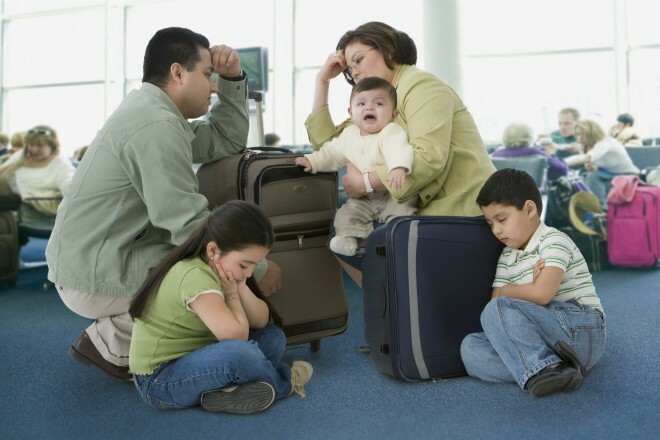 One I see all the time is exhausted parents travelling with their kids! Just yesterday I witnessed a family of 6 arrive after and obviously long flight. The few moments of glee from grandkids embracing their grandparents was adorable, but the look on the parents face was unmistakable (they needed a drink, a strong one!). Two strollers piled high with bags, trying to find their booster seats, scrambling to keep 4 kids in one spot and of course the dreaded lost carseat among the hundreds of others looking for their bags. All I could think was – geese you could of saved yourself a ton of trouble by simply renting your equipment and have it delivered! And yes, of course I am bias as an owner of a baby equipment rental company. But the fact is Parents can save themselves a ton of headaches and simply contact me at michelle@gobabyrentals.ca or call (709) 770 -6863 and Ill arrange all your equipment to be delivered right to you! Take the weight out of your travels www.gobabyrentals.ca has what you need! Ill never forget the words my mom said to me when I left for the hospital to have my daughter,” you’re going in the hospital one person, and coming out a totally different one”. At the time I shrugged her off because I knew I had prepared, I was ready for this! But as we packed up my daughter in her car seat (incorrectly I might add), tuned the key in the ignition the and began to roll out of the hospital parking lot my once calm demeanour quickly disappeared and a overprotective mama bear was unleashed. It was as though my partner became the worst driver instantly, everyone on the road was a maniac and every bump felt as if that car was going fall to pieces (well that last one is actually no exaggeration for St. John’s roads). Lets face it no matter how much you “prepare” for parenthood, you’ll never actually be. And even though we had the best car seat money could buy we had no idea how to buckle our daughter in it properly. After all the research I had done here are a few things I wish I had to know before taking my little girl home. Firstly, Kids in Safe Seats (KISS) is a great resource and taking one of their car seat safety clinics will only benefit you in the long run. 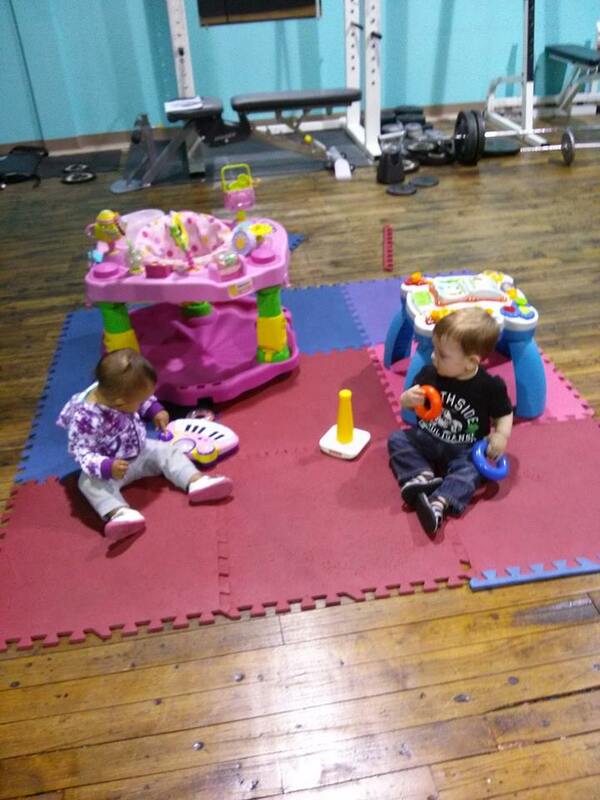 Also check out Go Baby Rentals and try out some of the equipment before buy! Making sure equipment fits your lifestyle as well as your vehicle will take the stress out of those first few weeks trying get around with your little one. 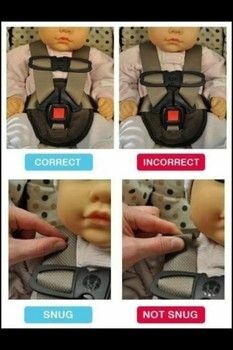 And remember to register your car seat for safety recalls, this is something so many parent forget to do! If your car seats are recalled no need to rush out and purchase a new one Go Baby Rentals offers great weekly rates and has an emergency drop off service! No need to blow it! Experiencing the cuisine in a new city is always one of my favorite parts to a trip, and sometimes overdoing it is inevitable. Especially here in St. John’s with jigs dinner smothered in delicious homemade gravy, Fish and chips so fresh it latterly melts in your mouth and of course slabs of homemade fresh soft bread lathered up with eversweet butter. I mean come on, get it in ya! 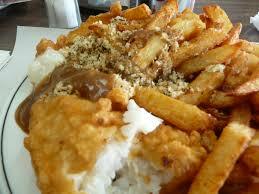 And if you are looking for a great place to dine check out Bacalao, authentic Newfoundland cuisine at its best! But wait you don’t have to throw away all your hard work on a two week vacation! All those miles you ran and finally getting your daughter to eat her greens does not have to fly out the window. The Real Food Market is St. John’s first organic grocery store that offers DELIVERY!! It’s so simple, just go to the online store and place your order and have it delivered right to your door! They offer a great selection of organic and wholesome foods for the whole family. This service is perfect for the family renting a vacation homes in the St. John’s and surrounding area. Check out http://www.detoxinista.com website for great recipes designed for all sorts of dietary needs! 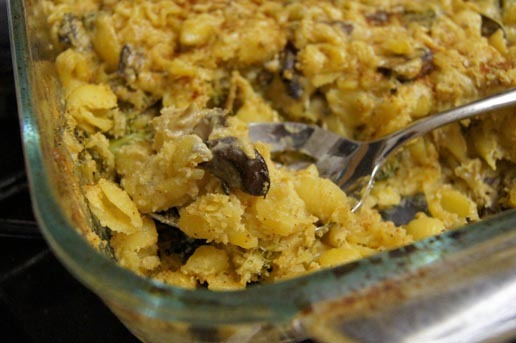 I suggest the vegan mac and cheese for those foggy days here in Newfoundland. 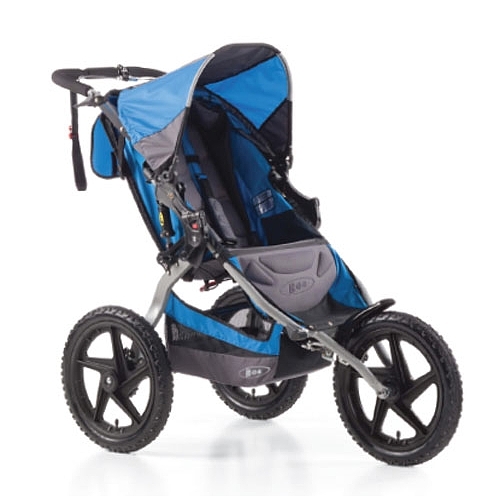 And for those parents wanting to keep on their stroller fitness regiments, Go Baby Rentals offers great rates on the Bob Sport Utility Strollers, take a nice stroll downtown or have a run in Victoria Park. For those that want to get a hike in on the East Coast Trial try our out MEC Happy Trails hiking pack! Maintaining that healthy lifestyle with your family couldn’t be easier! Don’t forget to like us on Facebook for your chance to win your very own MEC Happy Trials Hiking Pack! With Canada Day upon us families are packing up and heading out for their first outing of the summer! And really what a better province than Newfoundland to do it in! The icebergs are plentiful, the capelin is rolling and the wales are jumping. So much to see and do! And as a Mother, I understand that sometimes travelling with all your gear is simply impossible, which is why I started Go Baby Rentals. I wanted to provide another option to parents that took the stress out of getting to our beautiful province. Since opening I have so many parents tell me what a relief it was that this service is now being offered. However, on the other hand I have had a few say “we just borrow our equipment from our friends” or “I will buy some gear second hand when we get there”. And while these are both reasonable options for parents, I also feel it important that people visiting our province understand the laws and risks around using second hand car seats. As of January 1st, 2012, new child restraint system and booster seat requirements became mandatory under the Motor Vehicle Restraint Systems and Booster Seats Safety Regulations. Also, car seats made prior to January 1st, 2012 cannot be sold, advertised or donated under Health Canada’s Canada Consumer Product Safety Act. I have taken great care to ensure your child safety by purchasing all equipment new, having equipment inspect before and after it is returned, and checking recalls on all our equipment regularly. This simply cannot be done when using second hand equipment. Making your vacations memorable also involves making sure it is a safe one! Go Baby Rentals ensure that you are getting Safe, Convenient and Affordable equipment! Simply check out our online catalogue, book your equipment, and have it delivered! It couldn’t be easier! Go Baby Rentals also offers all stages of car seats for the best rates in the province! We offer both daily and weekly rental rates, and don’t forget to bundle your equipment for even more savings. See you on the Rock!